1. Transactional: You can send Pre-Define Approved SMS (TRAI) to any number including DND with 6 Character Sender ID like "TD-GETSMS"
2. Economy: with this gateway you can send any SMS with random sender id to do SMS advertising for your Business related Activities, on NON DND number only also we are having database of Mobile numbers of all major cities in INDIA. 3. Subscribed : here you can send SMS to pre-subscribed number only, user who want to sub-scribe to your SMS has to send one time SMS like GETSPACE to 56767 to register their number to get update from your company then you can send SMS to those sub-scriber including DND with 6 Character Sender ID like "TD-GETSMS"
Promotional, Transactional or OTP Which SMS Route Should I Choose? Choose the SMS route best suited for your business needs, whether it is for bulk SMS marketing or for customer engagement. Here is a quick guide to help you get started. If you need to send marketing related SMS like Offers, deals to existing or prospective customers, this is an ideal route for you. SMS are sent between 9am - 9pm, to Non DND Numbers only, as per TRAI guidelines. 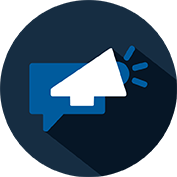 If you need to send Alerts or critical information to your registered user base, this is an ideal route for you. SMS are sent 24x7 with a 6 Character Alphabetic Sender Id. SMS can be sent to DND and Non DND Numbers. 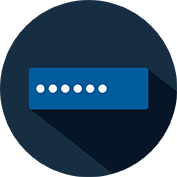 If you need to send One time password to your user, this is an ideal route for you, as it ensures SMS are delivered within seconds to the user and in case of delay or failure, system auto retries from alternate operators. Send personalized SMS to a group, compose SMS in regional languages, schedule & stagger your sends & more. 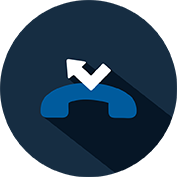 Reach your customers in your own Voice with our Powerful Outbound Dialer, for personalised interaction. Your Complete OTP infrastructure! Ensuring OTP WILL NOT FAIL, COME WHAT MAY! Simplify your messaging experience with long codes that enable two-way communication at ease. For the first time ever, attach files with SMS! Insert PDFs, images, Word docs, spreadsheets & more as shortlinks. Integrate your application and start sending SMS in minutes with robust & scalable SMS APIs. Sign up and you'll get 10 free SMS messages to play with, use it to test our services. Remember that we will match or beat any competitor price, just ask! This is a legally valid agreement that lays out the terms and conditions for the use of all services which comes under sms.getspace.co.in Service agreed by you. The usage of the service is limited under all the terms & conditions herewith published. This agreement shall be governed by the rules and regulations of the authorities of the government of India. Please read this agreement carefully. All notices under this agreement will be considered as written and have been duly signed once the same is electronically confirmed. You agree to abide by all applicable local, national and international laws and regulations. You are solely responsible for all acts or omissions that occur under your account, including the content of the messages transmitted through the service. The SMS service that sends/receives messages to/from mobile phones is maintained by TEAM sms.getspace.co.in. The utilization of the SMS service is subject to the following Terms of Service. Messages containing sexual, racist or discriminatory content or any such usage of them may be considered as harassment and you are to be held responsible for this. TEAM sms.getspace.co.in does not assume any liability for the content of messages sent. TEAM sms.getspace.co.in will be exempt from any claim that may arise from third parties as a result of message content. Engage in any other activity that Team sms.getspace.co.in believes could subject it to criminal liability or civil penalty/judgment. 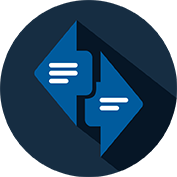 You acknowledge that TEAM sms.getspace.co.in delivers SMS messages via major telecom operators and can therefore only influence the delivery transmission of SMS messages within the technical constraints imposed. SMS messages submitted via Internet will be transferred to mobile network providers, provided that the recipient's phone is switched on and doesn't have a full memory and is located in an area covered by its subscribed mobile network provider. You acknowledge that, depending on the recipient's mobile provider service, it may not be possible to transmit the SMS message to the recipient successfully. Your SMS balance is subject to change as per operator pricing and policies, incase of any change in pricing of SMS, you would need to pay the difference in amount or your existing balance will be adjusted as per the new pricing. TEAM sms.getspace.co.in neither claims nor guarantees the availability or performance of this service and accepts no liability for transmission delays or message failures. While TEAM sms.getspace.co.in makes every effort to deliver messages promptly. 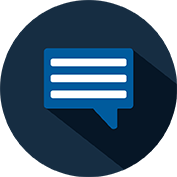 TEAM sms.getspace.co.in doesn't refund the credits for undeliverable SMS messages to you because we cannot guarantee delivery of the SMS messages to recipients due to possible errors. TEAM sms.getspace.co.in debits transmitted SMS messages according to its transmission logs. These logs are deemed correct and valid even if the customer has objected to the correctness of the accounting records, except if investigation by TEAM sms.getspace.co.in has produced evidence of a technical problem or error. TEAM sms.getspace.co.inreserves the right to exclude you from using this service, refunding you any remaining amount in your account. All purchases must be considered as final, in compliance with our no refund policy. You under take the whole responsibilities regarding the messages sending through sms.getspace.co.in services from your account, which are transmitted as per your request. You shall indemnify and reimburse TEAM sms.getspace.co.in all liabilities, costs, losses and damages, in case of any claim brought against TEAM sms.getspace.co.in from any third party due to breach of contract. SMS that cannot be delivered within the life span allocated to them, either by us or a Mobile Network Operator will be discarded by the Mobile Network Operator, without any notice. 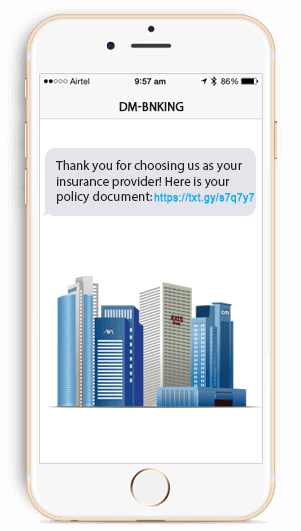 We are not liable for any loss incurred by the failure of a message to be delivered and you acknowledge that damages for financial or other loss resulting from delivery failure cannot be claimed from Team sms.getspace.co.in.Furthermore, you agree that message contents are deemed to have zero value. Notwithstanding anything to the contrary contained herein, the provisions outlined above are for the benefit of Team sms.getspace.co.in and its affiliates, agents, content providers and service providers and each shall have the right to assert and enforce such provisions directly on its own behalf. As per the Agreement, you have subscribed to transmission of Promotional and Transactional Messages to Customers via our Application/SMPP/XML/HTTP API. During the term of the Agreement you shall strictly comply with the applicable for the content from the telecom rules and regulations. Content: you shall strictly comply, applicable with the SMS Messages and agree that SMS content as stated in the below points shall not be not sent. Any content, which is lascivious or appeals to the prurient interest or the effect whereof, is such as to tend to deprave or corrupt any person. Any content which in our sole discretion, declares to be opposed to standards of morality or decency, or to be opposed to public policy or any adverse, offensive / derogatory reference to our or any other companies, organizations, religious associations, political parties, governments (state and central), anyone's private life, any other commercial and non-commercial entities. Any content that that violates the requirements of any network operator that we use to provide the Services. Any content that is false, inaccurate, misleading, unlawful, harmful, threatening, abusive, harassing, tortuous, defamatory, vulgar, obscene, invasive of another's privacy, hateful, or racially, ethnically, or otherwise objectionable. Any content that can be construed as any unsolicited or unauthorized advertising, promotional materials, "junk mail", "spam", or any other forms of solicitation.